Well done to Team 44 who achieved first place in the paste bridge competition in NUI Galway. This is the 4th year that Coffey Group are proud to sponsor the 500euro prize money for the competition. Team 44 was made up of Shane Mellon, Brian Marley and Jack Fegan. They managed to carry 20.1kg with a bridge weight of 0.54kg. Well done to all the runners’ up. 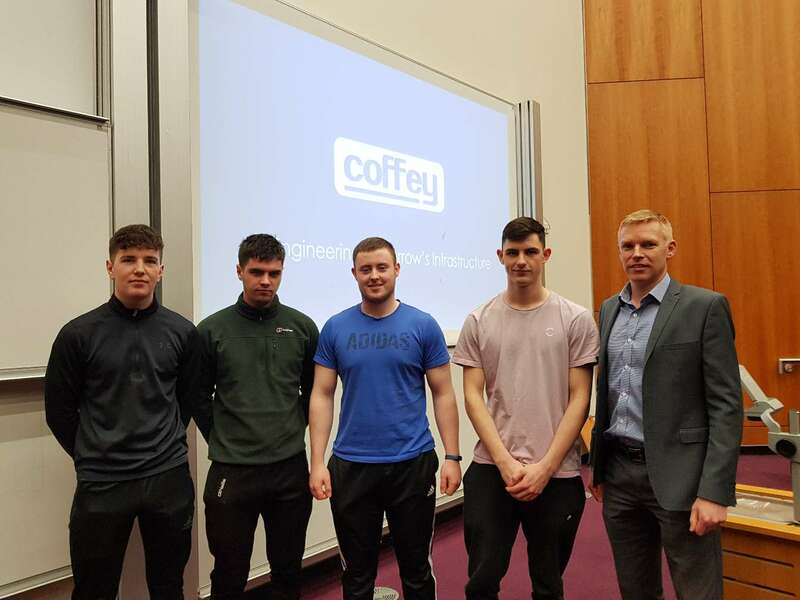 Odran Madden (MD of Coffey Group) was also on hand to give guidance to the 1st year undemoninated engineers in NUI Galway to choose Civil Engineering for year 2.